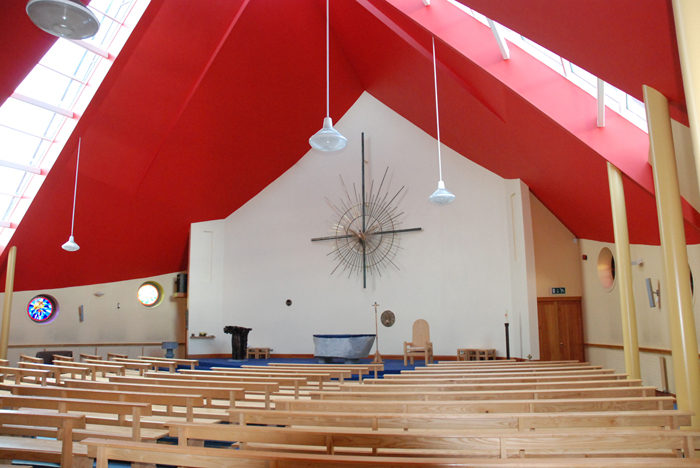 The new build Church of All Saints was based on the design of St Peter’s Barque, as St Peter was given special responsibility for the church, Peter the fisherman’s ship became a symbol of the church. 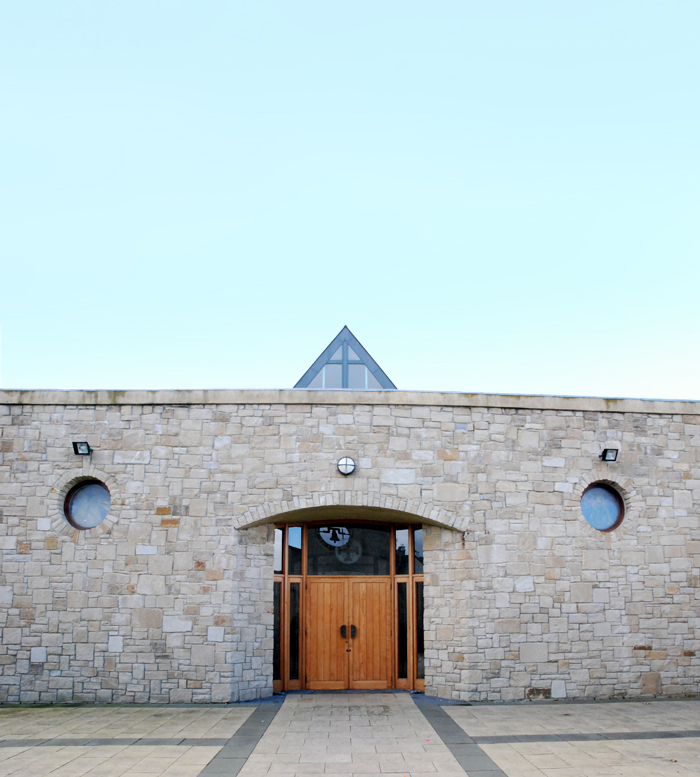 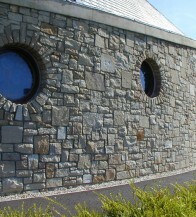 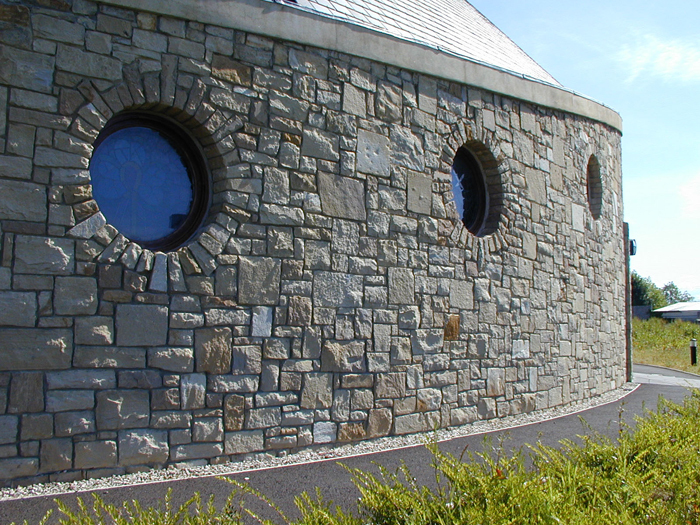 The Church has the capacity to accommodate approximately 400 people and was built with natural Donegal Stone and has a natural slate roof which blends in with the local area. 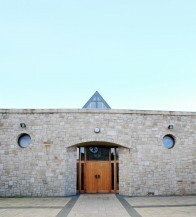 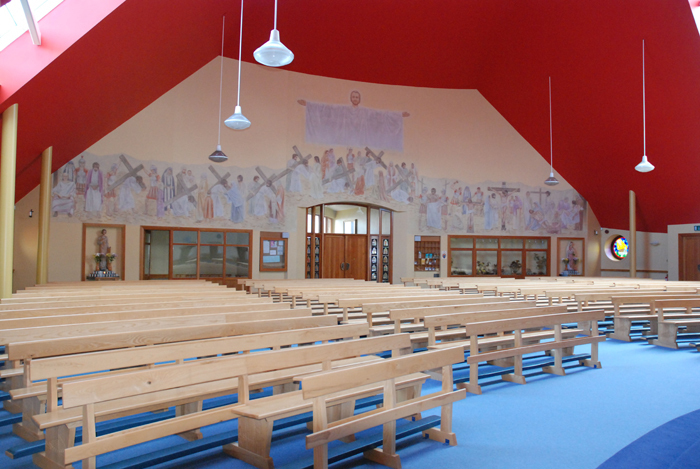 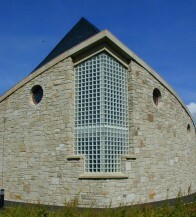 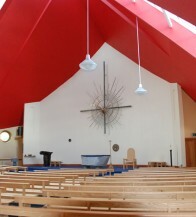 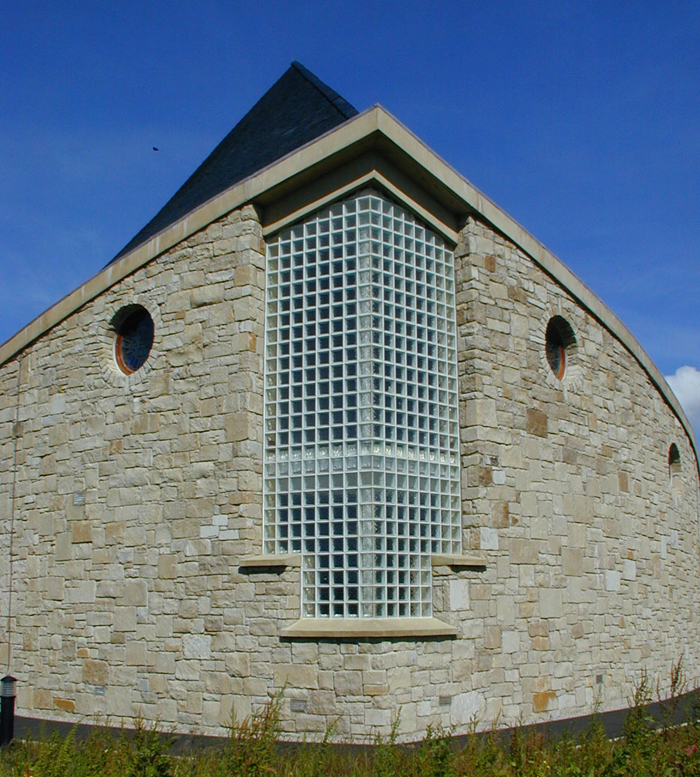 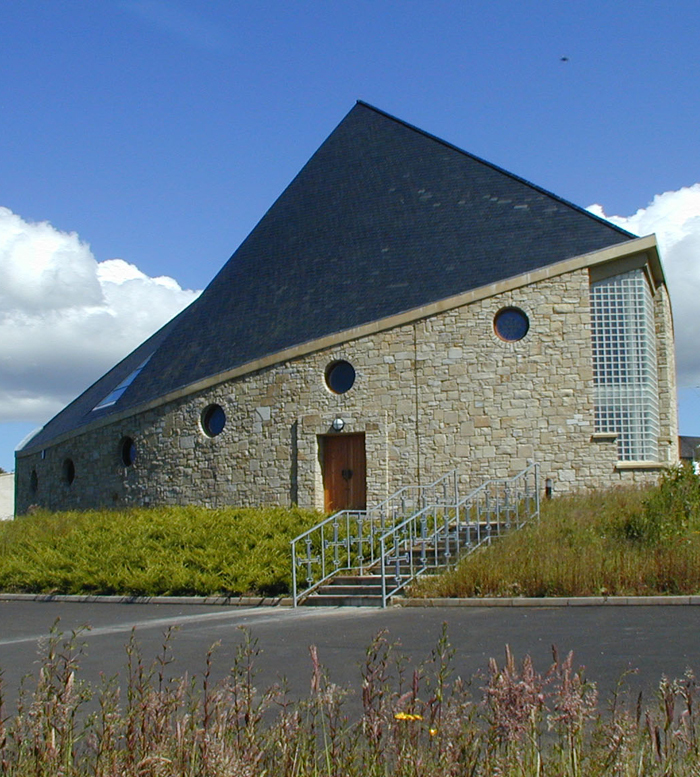 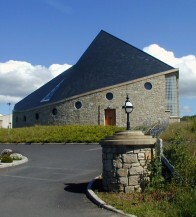 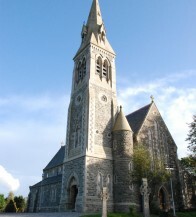 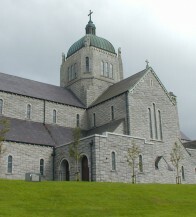 The unique design represents the biblical story of St Peter’s Barque, the church has become a landmark building en route north from Letterkenny. 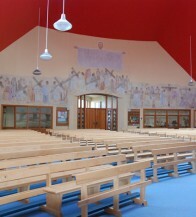 Local stone features and stained glass and murals by local artists strengthen the link between church and local community.